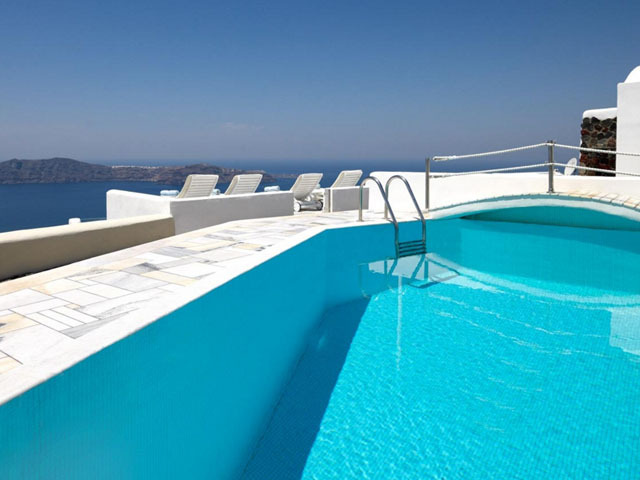 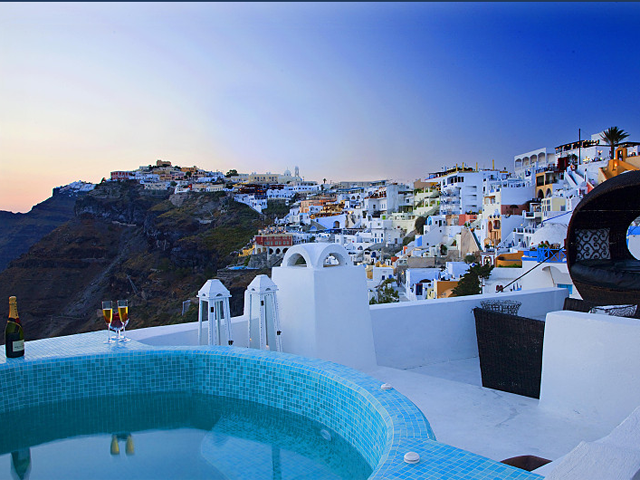 The Blue Angel Villa is perched high on the cliff top above the spectacular Caldera in the most sought after area in the main town of Fira. 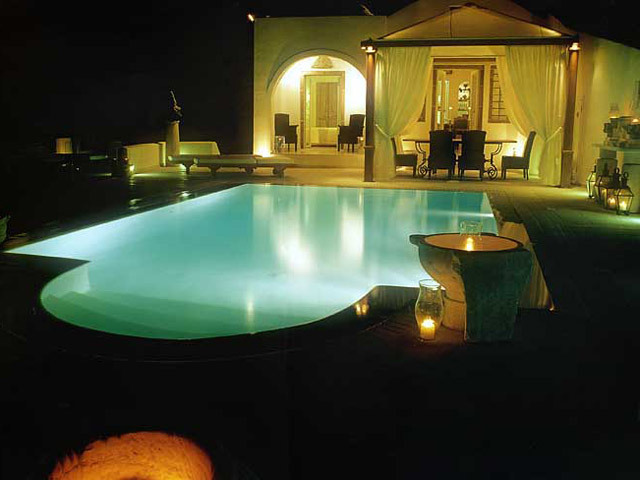 The owners have spent the last 2 years carefully renovating this traditional "canava" into a luxury Santorinian retreat. 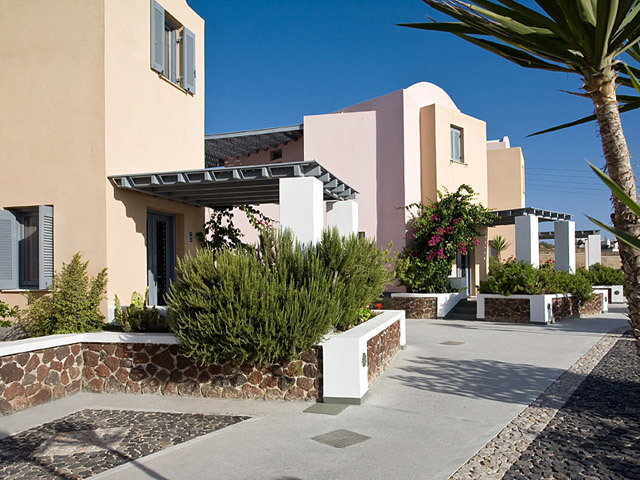 The Villa has been refurbished to the highest standards, decorated with handmade Italian tiles and traditional stone work combining to create an eclectic mix of all the modern conveniences without losing sight of the simplistic Cycladic Style.